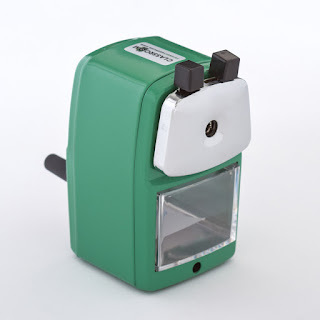 Classroom Friendly Supplies World's BEST Pencil Sharpener EVER Review! Do you need a good pencil sharpener? Are you tired of those suction sharpeners that pop loose? Or how about the ones that you have to permanently mount to get it to work? That electric sharpener just not up to par? And we all just LOOOOOVE the little hand held numbers, right? Nothing like a cramped up hand before the writing as even started! Well, let me introduce you to the Best Pencil Sharpener EVER from Classroom Friendly Supplies! For this review, I received one Groovy Green pencil sharpener. A true "green" pencil sharpener. Ideal for environmentally friendly schools and classrooms. When I say this is the best pencil sharpener, I mean it! With it, you get a mounting device that allows you to move it around. If you aren't fearful of commitment, like me, you can also order a permanent mount that lets you affix it to a structure more permanently. Each pencil I sharpened came out PERFECTLY with a sharp and pristine point. I never even knew I wasn't getting a well sharpened pencil before using this sharpener! Even better, it is QUIET! See those black tabs? You pull those out, and kind of squeeze them together. You insert the pencil, and then turn the crank on the side! 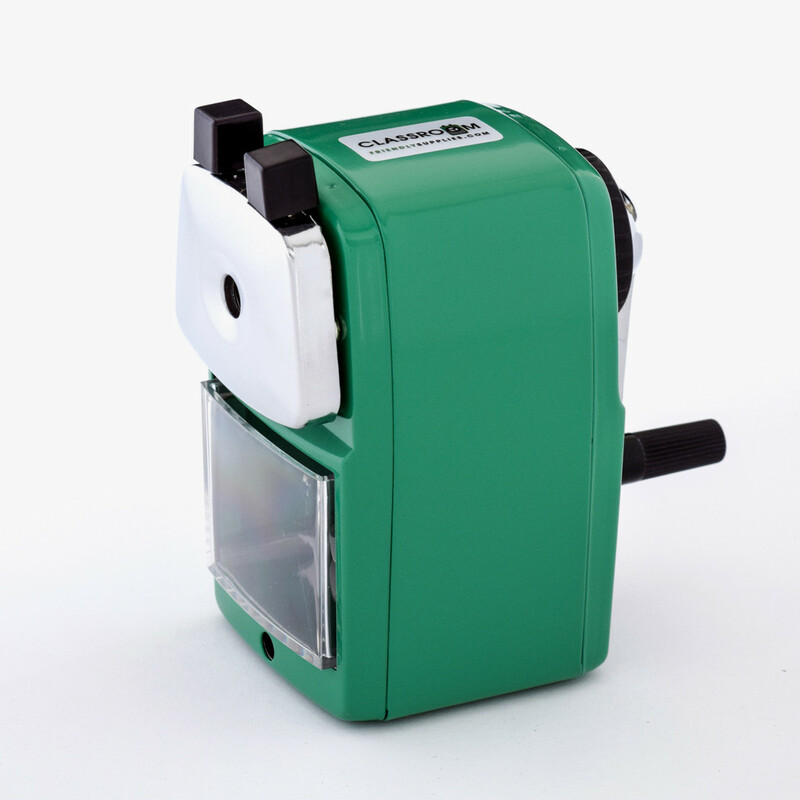 The sharpener grips the pencil for you, and moves it inward into the sharpening blades. You then remove a perfectly sharpened pencil! There are several colors to choose from, and there are also replacement parts if needed. This is very heavy and sturdy sharpener that you can't find anywhere else! I have already recommended this pencil sharpener to my friends and family. WE LOVE IT! Definitely, 2 Thumbs up! But wait, there's more! Do you want one of your very own?!?!?! Well, enter below for a chance to win! Yes, that's right! The vendor has graciously given me one to give away to a lucky blog reader! So please, enter today! Disclaimer: I received this product for free from the listed vendor in exchange for my non biased, honest review. I was not required to write a positive review, nor was I compensated in any other way. All opinions I have expressed are my own, or that of my family. I am disclosing this in accordance to FCC regulations.